Well the game was horrible. Also, I felt like the commercials weren’t that stellar. What did you think? The Syracuse vs. Duke game the night before was so much more exciting to watch and I don’t even like basketball! We had way too much food, but it was all so good! Dana made a veggie tray with home made dip (the best veggie dip I have ever had) and mini taco bowls in scoop chips. Ashley made pigs in a blanket and salted caramel chocolate pretzel bark. She said the bark was super easy to make and it was so addictive! We had to move the bowl away so we would stop eating it. I made smashed potatoes and mozzarella wantons. I highly recommend both! I of course didn’t get pictures of all the delicious food, except for the wantons. 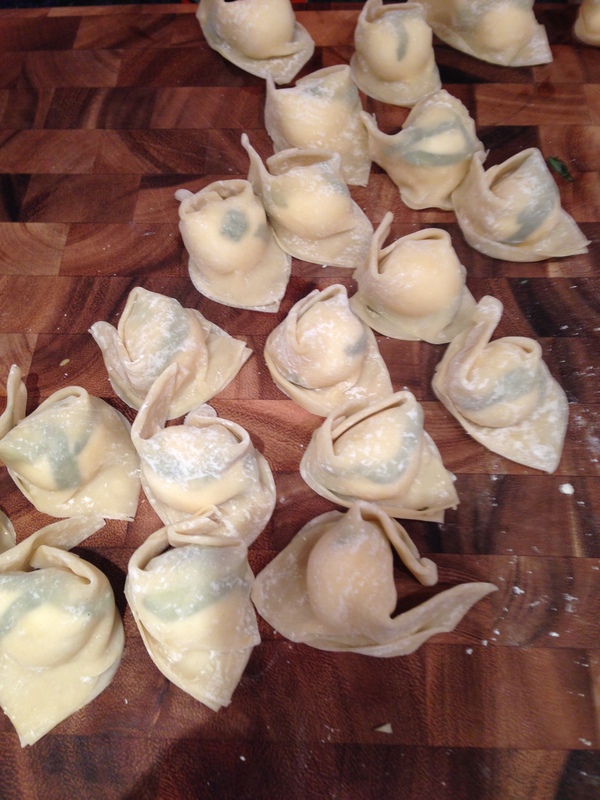 After we all tasted the first batch of mozzarella wantons, we all thought they were missing something. 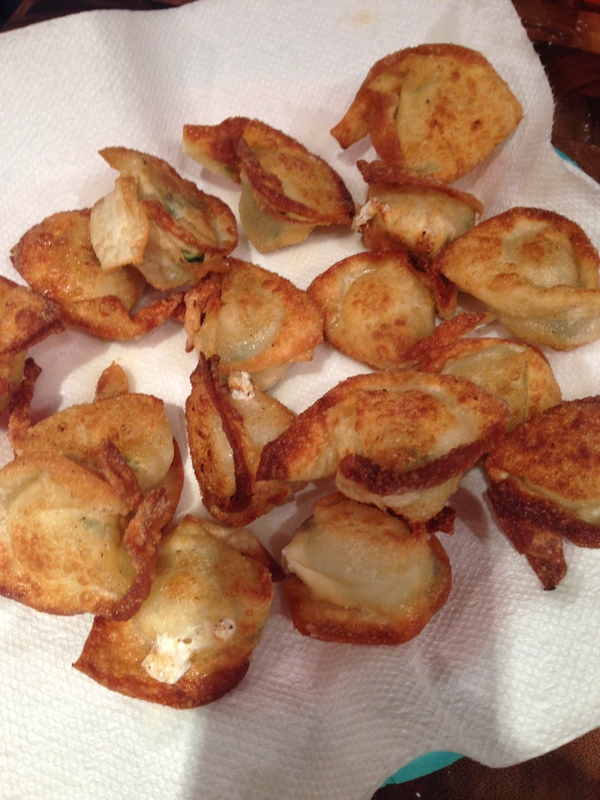 So I chopped up some fresh garlic and added it to the second batch of wantons and it was perfect! I will defiantly be making these again. What type of foods did you have for Super Bowl? And recipes to share? Late for both days, but this should cover it. My brother and I have dogs.